I’m going to let the charts speak for themselves. 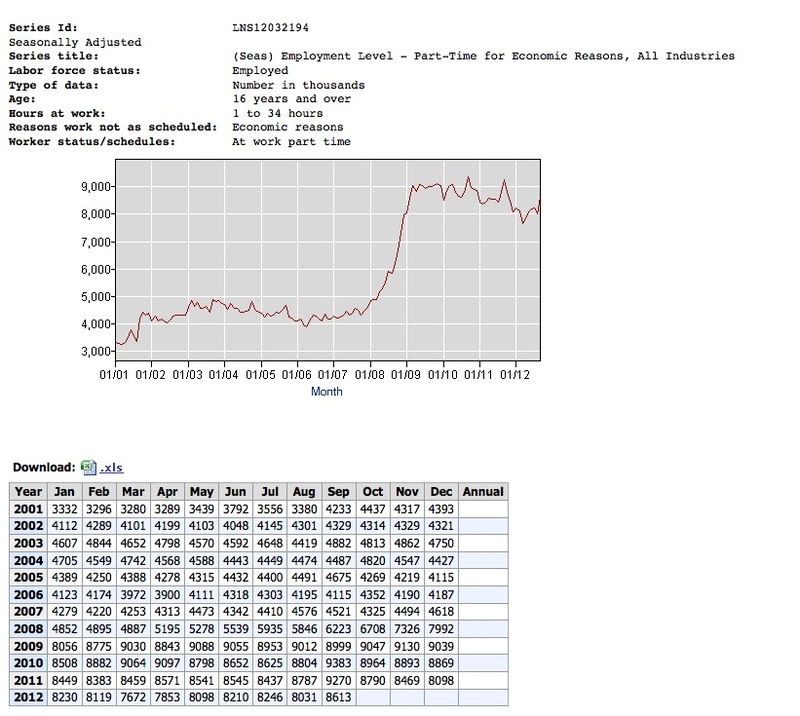 You can replicate the data I have presented below at the Department of Labor. You can see all the pictures below in full size by clicking on them. Part-Time Jobs increased by some 600,000 in September. 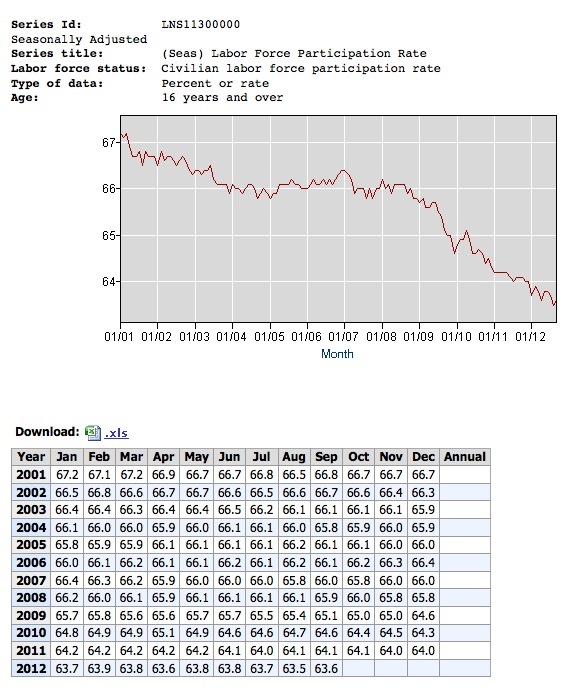 The Labor Department describes some of this as a forced reduction in hours worked, the rest? McJobs. Great recovery Mr. President. “Would you like fries with that?” Job training over…. The percent of the population in the labor force is still at an historic low. The real unemployment number, called U-6 by the Labor Department remains at 14.7%. That’s right, 14.7%.